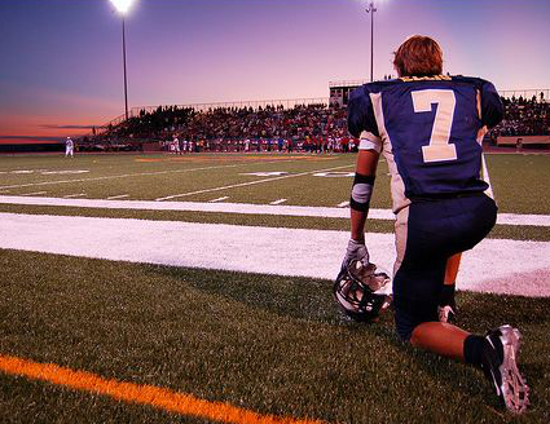 The decline in high school football participation has continued, dipping for the sixth time in seven seasons. According to the recently released data from the National Federation of State High School Associations (NFHS) 37 of 51 states — breaking Washington, D.C. into its own territory — has seen a decline during the time period. Major boons for Alabama (+9,185), Louisiana (+7,988), Michigan (+5,919), Oklahoma (+3,657), and Texas (+3,105) helped buoy the deflation in the midwest with Ohio (-12,797), Wisconsin (-4,565), Illinois (-4,060), Missouri (-2,342), Minnesota (-2,224), and Iowa (-2,190), among others in the region, losing players at an alarming rate. The hotbed of Southeastern football has shown remarkable strength with Alabama, Florida, Georgia, Louisiana, and Mississippi all gaining in participants. While two other states in the region — South Carolina and Tennessee — have only combined to lose 311 players over the seven year period. Florida, remarkably, has rapidly increased. It was down 5,608 players following the 2012 season but over the last two years it gained over 6,000 to its bottom line, ending as a net positive for this seven-year window. High school football saw steady gains from 1998 through the 2008 season when the game went from 886,840 athletes to 1,112,303. It dropped to 1,083,617 kids playing 11-man football last year. A combination of concussions, pay-for-play, and sport specialization have impacted the perception of the sport and multiple platforms have been launched to combat each issue. Only time will tell if the sport has seen its bubble burst of if it can recover. Here is a look at each state since 2008.